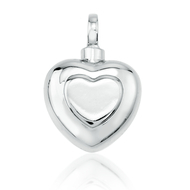 New in store - Sterling Silver Keepsake Jewellery. Each pendant is designed to hold a small keepsake. E.g. Dried flowers from a special occasion such as a wedding, a lock of hair or a keepsake amount of cremation ashes. Unscrew the bail to reveal a secret space for holding your keepsake close. Each pendant comes with a FREE plated silver chain, black velvet box, filling instructions and a mini polishing cloth. 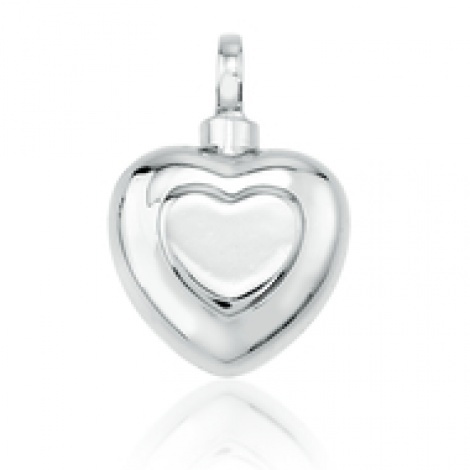 We have a cross, teardrop, cylinder and two heart designs for you to choose from.